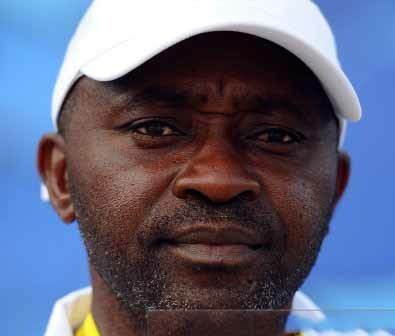 Coach of the Super Sand Eagles, Audu Adamu says his team will be ready when they take on other group opponents at the FIFA Beach Soccer World Cup in April. The Sand Eagles have been grouped in Group B to face Mexico,Italy and champions from the Asian Football Confederation in Nassau, Bahamas. Speaking to thenff.com, Audu believes his team have enough experience. “ We have defeated Mexico in the past, we know they have a strong team, we will use the experience we have gathered to face them. Even Italy, we understand how they play. I must say we will be ready to confront all the teams when the tournament kicks off.” Adamu stated. The Official Draw for the FIFA Beach Soccer World Cup 2017, which will be played in Nassau, the capital of the Bahamas, between 27 April and 7 May 2017, took place on Tuesday at the Hotel Atlantis in Nassau. The draw ceremony was held in the special presence of the Rt. Hon. Perry Gladstone Christie, Prime Minister Commonwealth of The Bahamas. Assisting in the draw ceremony were FIFA Legend Emerson, former midfielder for Brazil’s national football team and the Miss Bahamas Universe 2016 Cherell Williamson.